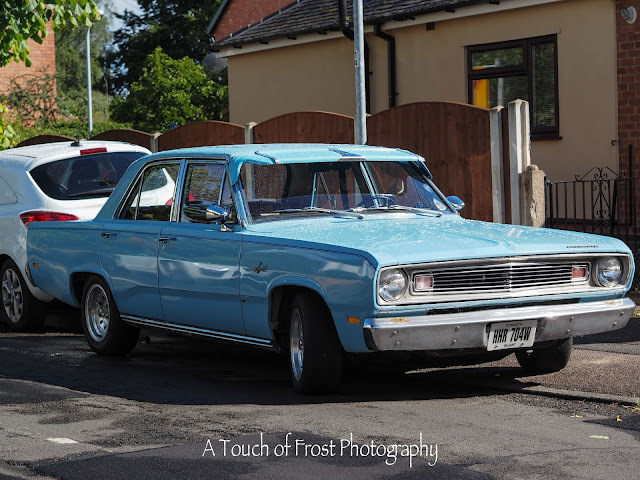 As far as I know, this American Plymouth wasn't involved in Friday's prom convoy, but I'm sure that it would have fitted in very well and would have turned a few heads. I spotted it parked up on a side street when I came back from shopping in Beeston yesterday. So I just had to stop and take a photo. A shame that the modern car was parked behind, as I might have been able to turn it into a period photo. Still it's nice to see these old cars still being on the road.